Unveiled at this year's Baselworld in Switzerland, this flaunts a complicated mechanism that combines two concentric titanium carriages, the outer one gyrating in 120 seconds and the inner one in 40 seconds. This interplay of sub dials offers a multi-layered visual effect. Further enhancing readability, the day/night indications can be told apart by their colour as they turn orange during the day and blue at night. The circular grained hand-finished dials are set in a white gold case and are complemented by an understated black matte leather strap. With a power reserve of 20 hours and water resistance of up to 30 metres, this is haute horology at its best. This presentation box features Mag-Lite's popular keychain flashlight Solitaire and a classic Victorinox Swiss knife. The light is powered by a single cell AAA battery that gives it a long run time and an anodised body which offers an excellent grip. The beam produced by the small silver coated plastic reflector is adjustable for focus, going from a tight spot to a wide beam. The perfect addition to a camper's backpack. A part of the latest S-Series of digital cameras, it features an exceptional 26x optical zoom lens with CCD shift image stabilisation which produces high quality images and a wide angle for the shots. The 24 mm wide angle Fujinon lens allows you to shoot extreme close ups of subjects placed as close as 2 cm from the lens. With screen sensitivity at up to ISO6400, you can get clearer shots in low light. Yet another reason to catch the action from behind the lens! Blended and aged in the Zandvliet vineyards which straddle against the Cogman's River and are set in the backdrop of the Robertson Valley South Africa, this wine is symbolic of the legacy and heritage of the family run estate. 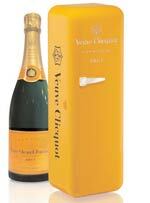 Its pale straw colouring and floral bouquet has hints of ripe peaches, orange marmalade and a hint of vanilla smoke. Owing to the ageing process that takes place in French oak barrels, the wine exudes aromas of toasted hazelnut and vanilla. Paired best with pan fried fish in lemon butter or white meats that are low on spice. Smartphones are getting smarter. 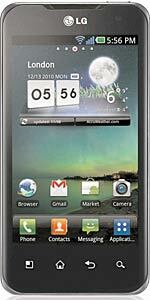 This one comes with a dual-core processor that makes for high speed internet browsing and makes multi-tasking a breeze. The 4" screen comes with a proximity sensor for auto turn off, Gyro sensor and touch sensitive controls which make this an excellent gaming phone. With 8GB internal storage and an expandable memory of up to 32 GB, there's no limit to your fun. Raise a toast to the rain gods this monsoon with a fruity drink that blends grapefruit and vodka. It is made from six-row barley grown under the warmth of the Finnish midnight sun. This form of barley is used in single malt scotches and premium beers. It offers the lowest possible content of natural oils and this lends the blend a crisp and smooth taste. The drink can be had on the rocks or mixed with tonic water, lemonade, pomegranate juice, and pink grapefruit. Another stunner from the house of Moet Hennesy, this gift box includes a bottle of Veuve Clicquot Brut yellow champagne and a fridge box designed by French designer Denis Boudard. This luxury cooling device keeps a single bottle of Veuve Clicquot chilled for up to two hours while travelling, enhancing its crisp and full bodied flavour. Named after the bridge that straddles the Singapore River, the modified aviator frame is crafted from a titanium block for a chunky yet comfortable look. 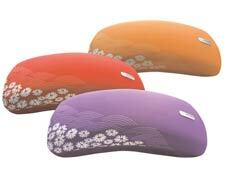 The glasses are crafted from gunmetal which is sturdier than most others. The frame is set in shades of chocolate brown and black. 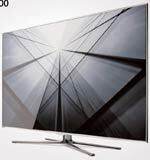 This range features 12 models across LED and Plasma panels including the LED D5500, D6000, D7000, D8000 and the D8000 Plasma TV. While the LED series is available in 40-60 inch screen sizes and features an ultra slim bezel, the Plasma variants boast a 64-inch display with the new "+1" design that adds an extra inch of viewable screen area. The SmartHub facility in these televisions offers internet and video on demand and the Samsung App store gives you access to various free and paid applications for news, multimedia and social networking. 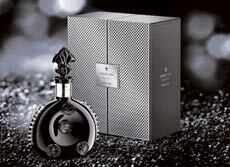 A spanking new version of the iconic Louis XIII decanter, this is set in the precious metal Palladium. The mirrors and internal lighting aim to display the lustre of the black Baccarat crystal, and the neck is designed in a way that its black crystal stopper resembles a precious jewel. Limited to 786 bottles, this is the perfect adornment to the necter-rich aromas of the spirit. To mark the 20th anniversary of the, Montblanc is honouring the Roman diplomat and patron Gaius Cilnius Maecenas. 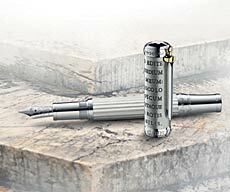 Flaunting a design inspired by the columns of Roman temples, the pen is finished in marbled lacquer. With a cap and fittings made of sterling silver and a rhodium plated 18 K gold nib, this work of art limited to 4810 pieces. The latest addition to the brand's Maestro collection unveiled in 2010, this is an exercise in understated elegance. 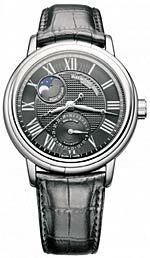 It offers a clear and easy to read dial with roman numerals that furnish a classic look. Powered by an automatically wound RW4500 calibre movement, it has a power reserve of 38 hours. It is housed in a 39.5 mm polished stainless steel case and features sapphire crystals on both sides.